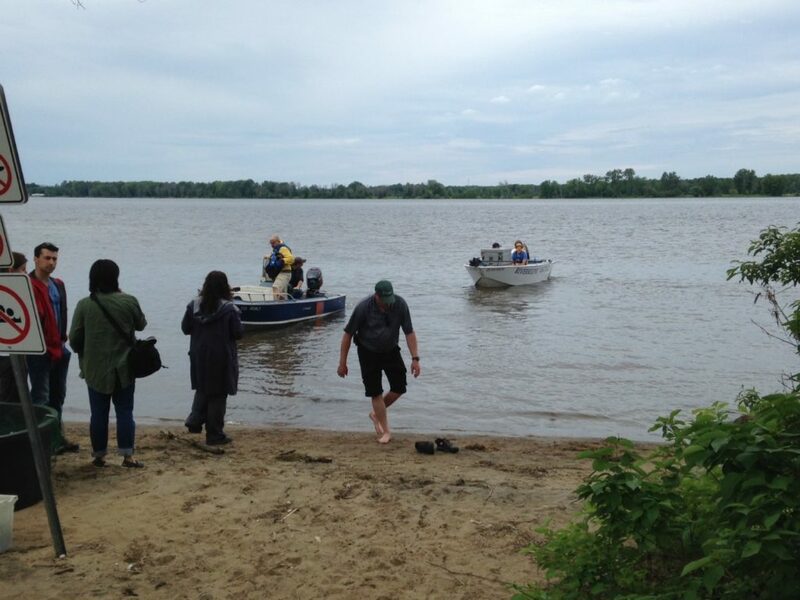 Water Rangers were out at Petrie Island on Wednesday to see the Ottawa Riverkeeper and the Canadian Wildlife Federation’s 4th Annual Eel Release! 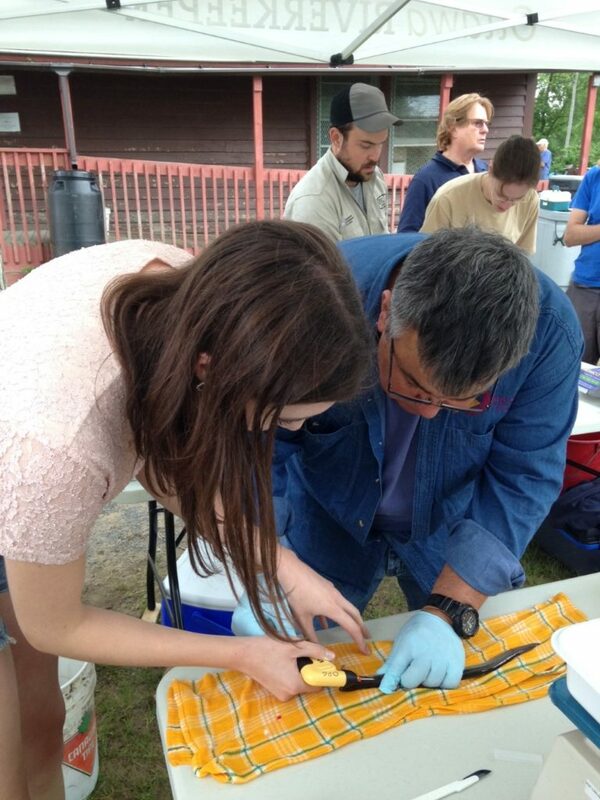 The purpose of the event was to increase eel population in this section of the Ottawa River and to track the eels once they are released. 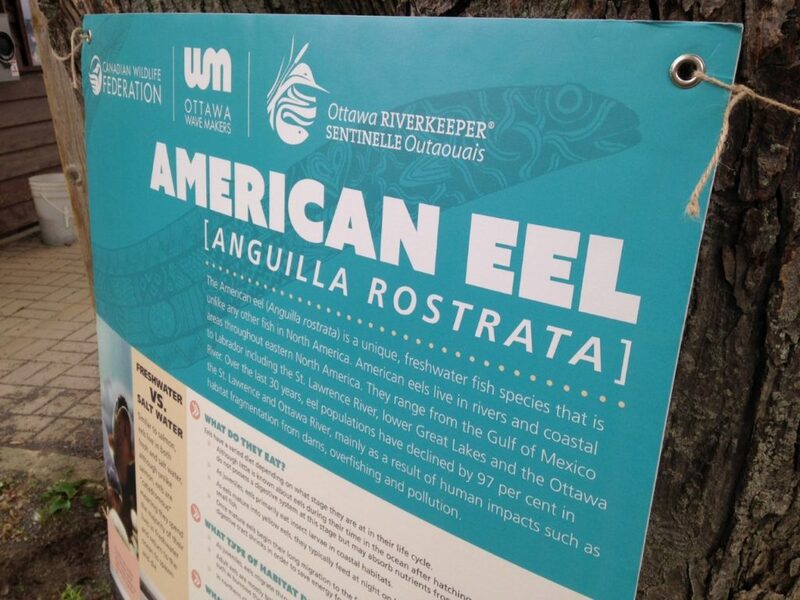 400 American Eels were being released. 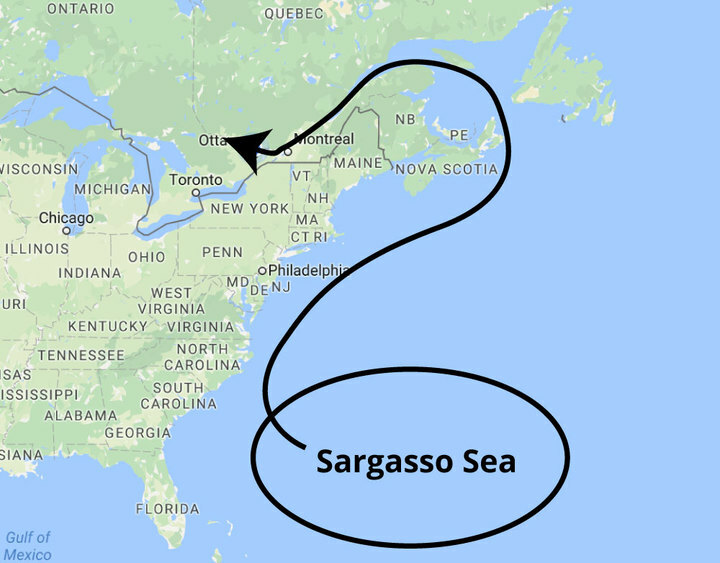 Since 2013, 400 American eels have been transported by air each year, all the way from the Sargasso Sea (near Bermuda) to the Ottawa River to be released. This is actually their natural migration path! Female eels swim about 5000km through the Atlantic Ocean and up the St. Lawrence and Ottawa Rivers, where they get stopped by several hydroelectric dams, the first two being the Carillon and the Chaudière dams. Eel populations in this area have declined significantly in the past 30-40 years due to the implementation of many impassable dams along the length of the river, making them an endangered species in Ontario and Quebec since 2007. Releasing the eels in this location helps to restore their population. The migration route of the American eel. Organizations are concerned that eels, who used to represent 50% of the biomass of the Ottawa, are now gone. They don’t know the full effects that losing these eels will have on the ecosystem, but it is said that many types of mammals, fish and birds, as well as humans will be affected. Each eel is first implanted with a tracker. To do so, they are put to sleep so they aren’t moving as they’re being tagged. This doesn’t hurt the eels! They are very resilient and wake up after a few minutes. 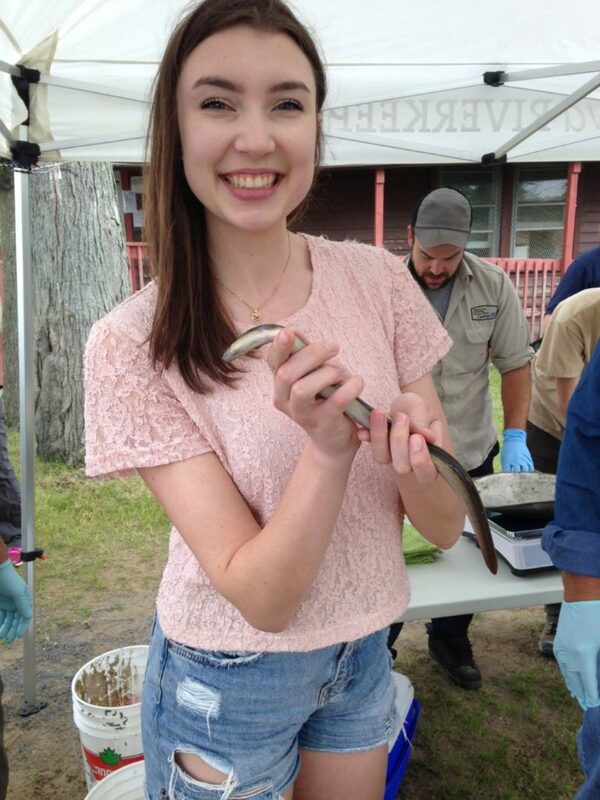 Each eel is measured and weighed, with most of the eels being between 20 and 40cm long. The tracker in each one is scanned to get its unique identification number, which is then recorded along with the rest of the data. There were four teams of four doing 100 eels each, and once the process got going, it went really quickly! I was given the chance to tag an eel and work with the scanner as well. The eel ready to go! After each eel had been processed, they were transferred to larger containers as the anesthetic wore off. Once they were ready to be released, they were taken out in motor boats 50 at a time to an area where the water is about 10-12 feet deep. The eels were released in small groups so that they don’t deplete the water of oxygen and so the water isn’t overwhelmed with too many fish in the same area. The boats returning to shore after the first eels had been released. We were able to perform a water test while we were there, with the test about 50 feet away from where the boats were being launched to take the eels out. It was a perfect day to be out on the water! All in all, the Eel Release was organised well and went smoothly! If you’d like to learn more about the American eel, the Government of Ontario’s website is a good resource. Water Rangers would like to thank the Ottawa Riverkeeper and the Canadian Wildlife Federation for hosting the event.